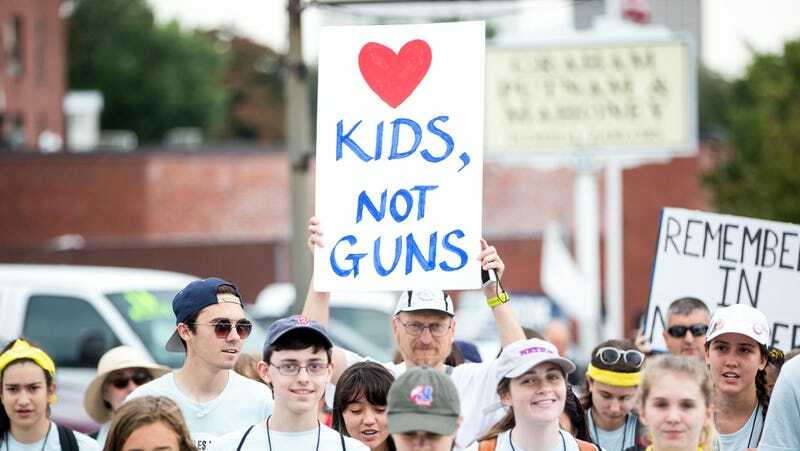 We tend to talk about young people and gun violence almost exclusively in the context of school shootings, but the reality is that home can be a very dangerous place for children. More than 130 children were shot and killed in domestic violence incidents in the last year, according to the Miami Herald, McClatchy, and gun-violence outlet The Trace, which have worked with hundreds of teenagers to document the number of children killed in shootings of any kind since the Parkland shooting last February. It’s rare in the United States for abusers to lose access to their guns. Certain state and federal laws require people with violent misdemeanors or felony convictions to give up their guns—but there are many ways that men with a history of domestic abuse can still buy and keep a gun. Right now, our federal laws contain a massive loophole that allows dating partners convicted of misdemeanor domestic violence to purchase and possess as many guns as they want if they don’t have children with or live with their victim. Fewer than a dozen states have closed this loophole despite the number of women killed by dating partners each year. Some states have “red-flag laws” that could have intervened in a case like Simpson’s, as the Herald notes, by giving law enforcement or mental health professionals the power to request that a person’s guns be taken away. But even that legislation also fails if there’s not a well-documented history of domestic abuse—which, of course, there often isn’t. That was the case in the brutal attack on Simpson’s life, according to Dr. Susan Hatters-Friedman, who told the Herald that “there often aren’t clear patterns leading up to parental murder-suicide cases. Some states are expanding their laws to be even more aggressive in removing guns from those with a history of violent behavior. In California, anyone convicted of any violent misdemeanor cannot legally own or buy a gun—which, according to Michigan State University associate professor April Zeoli, led to a 24 percent drop in intimate partner murders. When gun laws also cover dating partners, she also found intimate partner murders fell by 11 percent. The facts of her research are devastatingly obvious. “When more high-risk individuals are covered, homicide goes down. It is intuitive,” she told the Herald. The challenge then is expanding the law to recognize the various threats that women and children could face at home. As of now, it hasn’t gone far enough.